A blank statement at best, but for me these simple words are the key to who we are. Throughout our lives, we go through series of stages, we walk away from some events with no marks, and sometimes we walk away with a battle scar. But none the less, we go through them, and somehow we live to tell the tale. However, what ever we do in life, we [hopefully] understand that throughout our life we are either disciplining ourselves or others. For example, I watch my son practice walking. I watch him and see his determination. He falls down–a lot, but then he gets right back up and tries again, and again, until he’s made some progress. He doesn’t stop, even when he fails, he gets right back up and keeps trying. There is something innate in him that tells him, no matter how many times he falls, he must get back up and try again. This is who we are as humans. We learn through failure. But, it is through this failure that we must learn how to discipline ourselves in order to succeed. When my son grows older, like his sister, he’ll learn what is acceptable behavior and what is not. But as a parent, I must know when to stop. I must learn to discipline myself while I’m disciplining. If I over do it, then he and my daughter will feel constrained. If I don’t discipline them enough, then their life will be lacking boundaries. It is this narrow path that we, as people must walk on. Trying to eat healthy, starting a new workout routine, writing a book, learning a new skill–all of it takes discipline. It doesn’t guarantee success, but it sets you up to keep trying to know that eventually you’ll get it, or you’ll just keep trying until you do. It’s funny what you can think of when you just sit. Where do you need to discipline yourself in life? 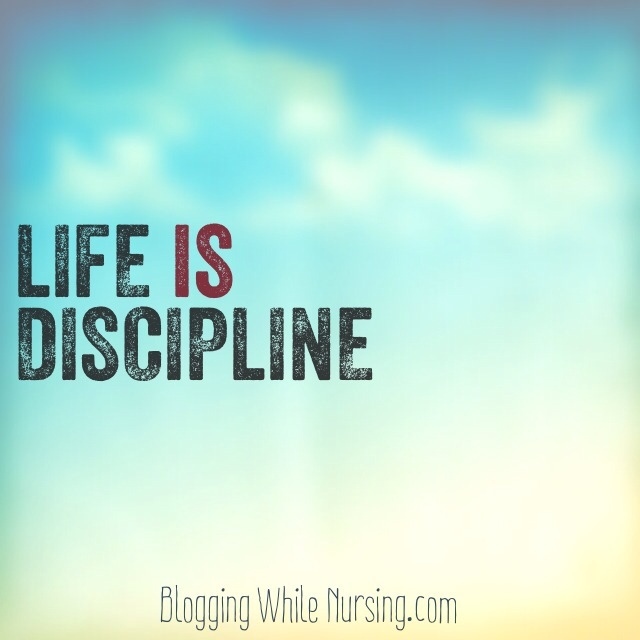 12 Comments on "Life Is Discpline"
I need discipline in my diet. Because I have straight lost my mind on what is acceptable behavior over here. Girl, for me–when its my cycle time, I EAT! don’t know what it is, but I can be hungry. I need to choose better snacks. I need discipline in my workout life. It’s not looking good. I also need discipline when it comes to my projects. I want to do so much, but need to pace myself. I lack discipline in pacing myself as well. It’s like a kid in a candy shop with unlimited funds. I’m so overwhelmed and so over excited that I become indecisive then paralyzed as to what I want to focus and do. I end up not getting much of anything done. Girl if I can do that, I would not remember what happened to me so many odd years back and by whom. Started a book two years ago but, I’ve been too lazy to continue. I’m learning a musical instrument and also trying to work-out every morning. We give the excuse that we are busy or better still, we procrastinate what we ought to do. We need discipline to overcome our imposed ‘laziness’ and get back on our feet. Thanks for sharing. You are very welcome. I agree with you, we do use the excuse if being too busy not to do something, but like you mentioned, it’s only an excuse. I need to do better at something’s and know that it’s one day at a time and one step at a time. 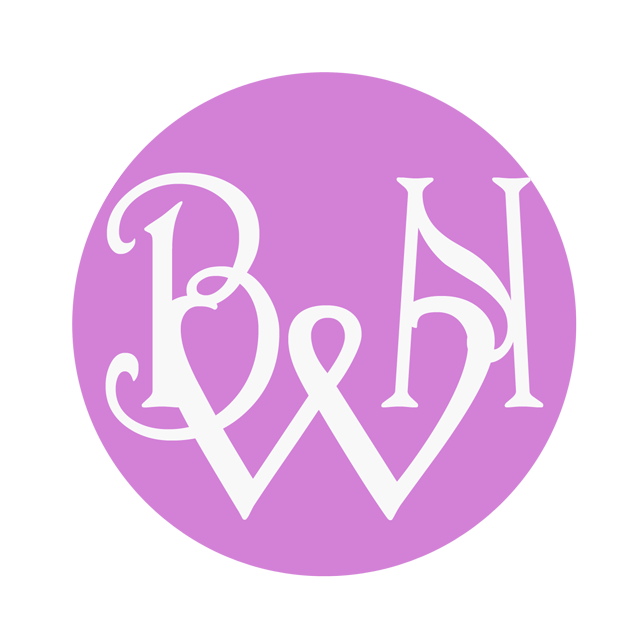 Thank you so much for stoping by my blog! I need discipline on the Internet, Kalley! I get on, and time seems to fly by. I sense the Lord telling me that the fruit of self-control is lacking here. Praying for more discipline so that my efforts are more fruitful. I just nominated you for a Liebster Award, Kalley! Go to my post today on Embrace the Sruggle and you will find details and next steps. I do hope you will accept your nomination, Kalley; I truly believe you deserve it! It is good to know I am not the only one with Internet timing struggles! I just cannot seem to organize my time on it well enough. At times I really only have an hour and I want to do so much, but end up doing nothing instead. Time is always slipping away from me when I go online. Wow! I love this post! I think I need discipline in a lot of areas, especially with my writing! I really am excited about your book!